Friday, July 12, 6-9 p.m.
Fun with fractals! Kim Redd's fractal art proves that math can be pretty. 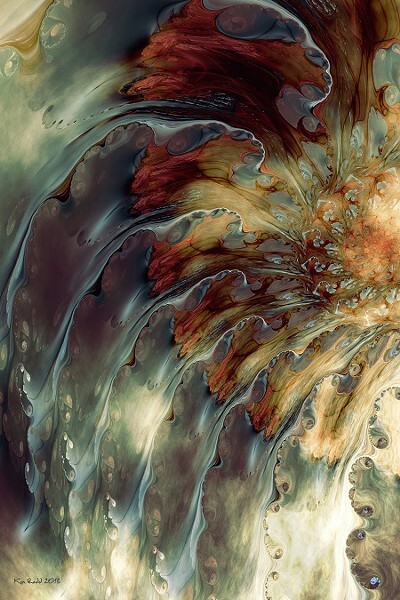 Fractal art is a form of digital art that's made using algorithms. See Redd's calculations-turned-artwork at Crush. Steve Porter's artwork at the Upstairs Gallery might have you saying, "Hey, that looks familiar." Porter's "Beaches along the Redwood Highway" exhibit showcases his watercolor paintings of local seaside landmarks. A renaissance man, Jeff Langdon is a musician, a sculptor, photographer and painter. Now his piece "The Painter" will grace the Arcata Artisans Cooperative during Arts! Arcata. If you can't catch his artwork, you can catch Langdon playing drums for the bands Splinter Cell and The Fire Demons. Arts! Arcata is Arcata Main Street's monthly celebration of visual and performing arts, held at more than 30 participating locations in Arcata. Visit www.artsarcata.com for even more information about the event or call (707) 822-4500.ABRUZZI 780 Seventh St. Live music. ARCATA ARTISANS COOPERATIVE 883 H St. Jeff Langdon, conceptual artist. Jeannie Fierce, paints with wool. Barbara Wright, mosaics and glass work. Michael Edwards, jewelry. Wine will be served to benefit the Humboldt Community Breast Health Project. ARCATA CITY HALL *736 F St. Virginia Dexter, photography. ARCATA EXCHANGE 813 H St. Works by Jay Brown. Live music by Hot Wings. Wine will be served to benefit The Emma Center. ARCATA HOLISTIC HEALTH CENTER 940 Ninth St. Morgen Maier, paintings and drawings. ARCATA MARSH INTERPRETIVE CENTER 569 South G St. Art Tiles by the Arcata Marsh Project. BUBBLES 1031 H St. Clean Livin' bluegrass band. CAFÉ BRIO 791 G St. Gus Clark, acrylic on wood. Serving small plates for dinner. CRUSH 1101 H Street #3. Kim Redd, fractal artist. Live music by Blake Ritter and friends. FIRE ARTS CENTER 520 South G St. #A. Retrospective of the life and art of Colinda Gutierrez. Music by Dogbone. HUMBREWS 856 10th St. Ricio Cristal, digital photography and collages. MAZZOTTI'S 773 Eighth St. Jen Mackey, mixed media. MOORE'S SLEEPWORLD 876 G St. Sanford Pyron, oil paintings. Kenny and the Mighty Rovers, roots country and honkytonk swing band. NATURAL SELECTION 708 Ninth St. Yuma Lynch, paintings. NORTH SOLES FOOTWEAR 853 H St. Alan Sanborn's watercolor art critique group, watercolor paintings. OM SHALA YOGA 858 10th St. Phoebe Andrews, "The House of Yantra," colored pencil on Masonite. PLAZA 808 G St. Yvonne Kern, oil on canvas. Wine will be served to benefit the Sisters of Perpetual Indulgence. RAMPART SKATEPARK 700 S G St. Harrison Levenstein, pottery. Jose Aguilar, artwork. Music by Johnny B, Katalyst and Something Simple. REDWOOD CURTAIN BREWING COMPANY 550 S G St. Leah Jorgensen, "PaperCut," cut paper art in 3-D frames. ROBERT GOODMAN WINERY 937 10th St. Steffan Elliott, oil paintings. STOKES, HAMER, KAUFMAN & KIRK, LLP 381 Bayside Road. Thomas Bethune, photographs. Vaughn Hutchins, photographs. 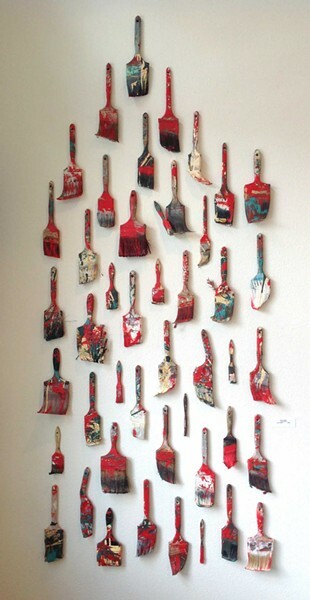 Elizabeth Pate, mixed media. Wine, live music. THE ROCKING HORSE 791 Eighth St. Art by Arcata Elementary School students. 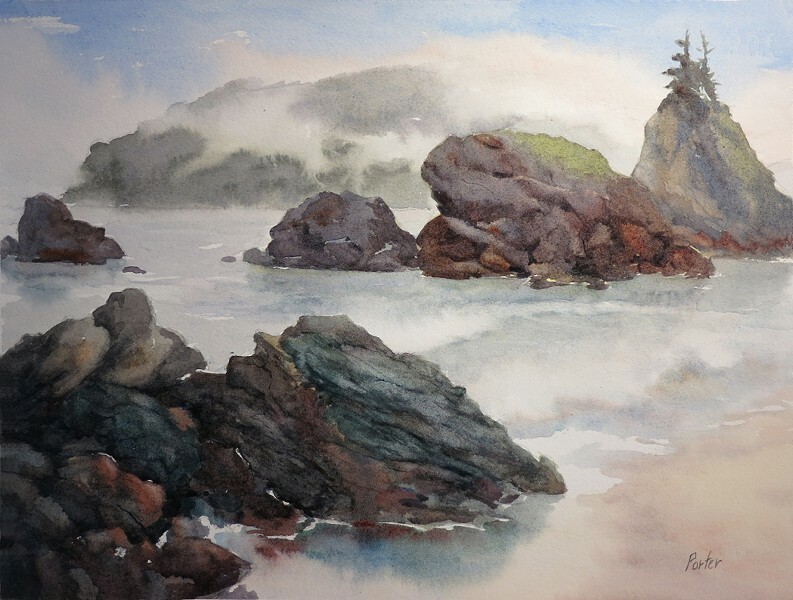 UPSTAIRS ART GALLERY 1063 G St. Steve Porter, "Beaches along the Redwood Highway," watercolor.